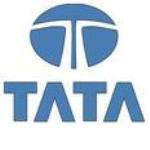 Tata Teleservices Limited has been growing, in terms of subscribers, since the launch of its GSM service under brand name – TATA DOCOMO. Today the company announced that they have crossed 80 million subsribers’ milestone. It added 2.14 million new subscribers (wireless and wireline) in the month of September 2010 to cross the 80-million-subscribers’ milestone to reach a total of 8,03,06,495 subscribers. Personally, I feel that its Tata Teleservices Limited has shown remarkable growth since the launch of Tata DOCOMO. So Congratulations to all the people at Tata Tele. Enjoy Guys!! !